Happy Funny Bone Monday and welcome to the Jones Natural Chews blog! Where the treats are all natural and made in the USA, and the humor is dog related! 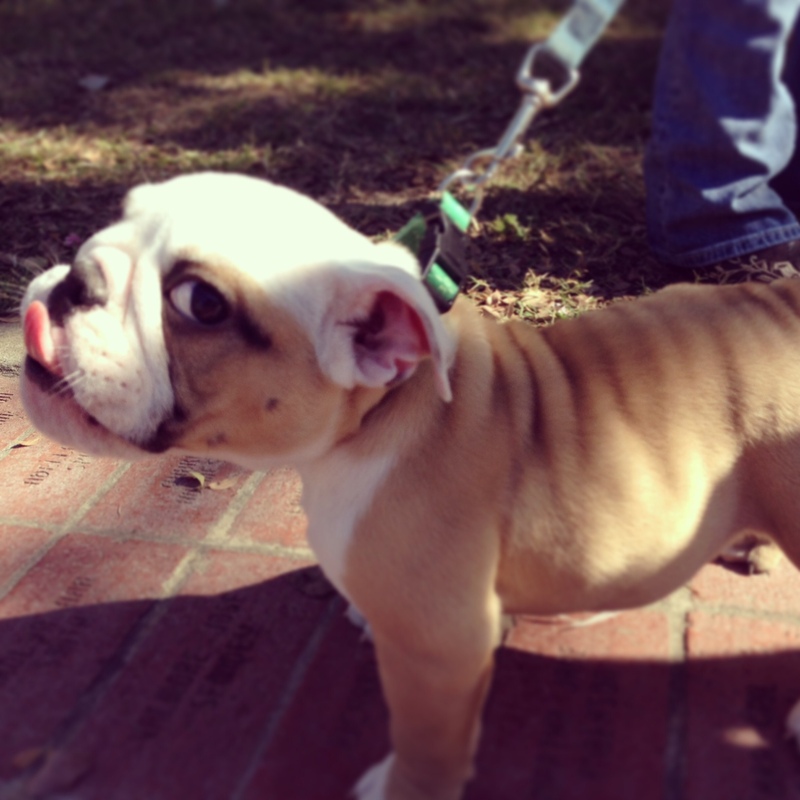 This wee English bulldog puppy was seen on Louisiana Tech campus. The mascot is a bulldog. First, allow me to announce the winner of the book giveaway, A Dog Named Boo – Dogs N Pawz! Congratulations Dogs N Pawz! It’s a great book. Email me your address and I’ll ship it once I’m home from Louisiana. Did I say Louisiana? I sure did! I’m here to hang out with my sister and her brand, spankin’ new baby. Lookit! *SQUEEEEE* She’s to tiny and soft! And she smells JUST like a new baby!!! Isn’t she a doll? So tiny! And that new baby smell! And yes, I really am in Louisiana. Proof? Gumbo. 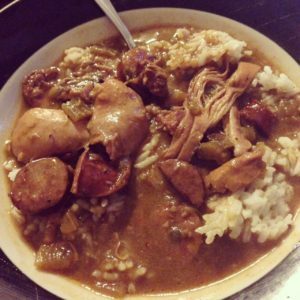 The neighbor made sausage chicken gumbo and delivered it hot and fresh last night, with rice. It was AMAZING. You are jealous. So what’s today’s Funny Bone Monday about? 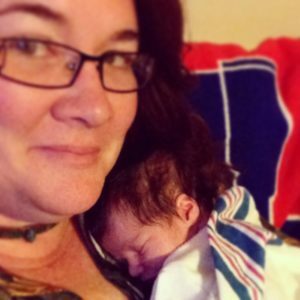 Babies and dogs, of course!! What a cutie pie!! This next one is a cutie, too. Y’all, I seriously need to hold a baby now. I brought dog treats and treated several dogs this weekend on my way down here from Tulsa. There will be photos tomorrow!